When I am commissioned to capture an engagement session here in Charleston, Sc, I always try to think and reach out of the box to create spectacular images for my clients. After all anyone can capture engagement photos, but what sets me apart from other engagement photographers, here in Charleston,Sc, is that I aim for perfection by giving my clients various results. Knowing my photography equipment, having the right light or just adding a strobe to the image, to give it that pop, or wow factor can make a huge difference. Another addition to my craft that I have put lots of time into and mastering, is double exposures. There are multiple ways of creating this effect, both in camera or thru software, however if you have no math to this in capturing or working it thru the software or camera , it generally never works. 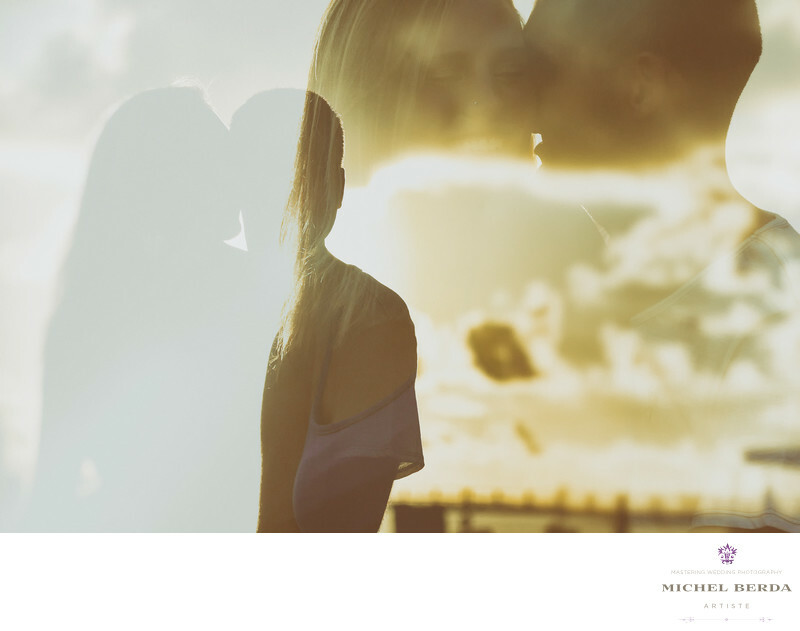 In this image the silhouette makes the images have the wow factor, because of that the background in this case the sunrise sky, does not take away from the clients emotion, in fact it ads to this engagement image that by giving it more appealing effect.Keywords: Charleston (1179), Double Exposure (3), Engagement (48), Lighting Techniques (3), photography (75), sc (309).